In this review, Adam and I will compare the new inReach Mini with the inReach Explorer+. Along with that comparison will be an overview of the services provided, as well as any tips and tricks that we have to maximize your experience with the device. The reason we are teaming up is simple: I recently purchased a Garmin inReach Mini, and Adam owns a Garmin inReach Explorer+. 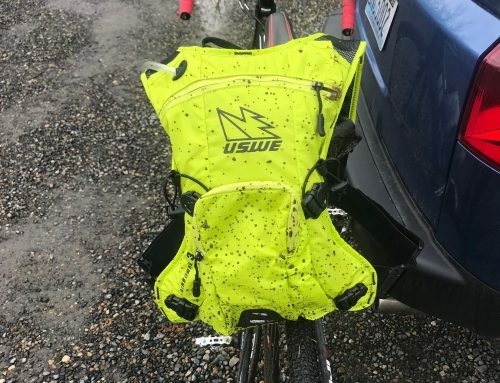 Having put these devices through their paces, it was time to look at how they can make you safer on the trails. 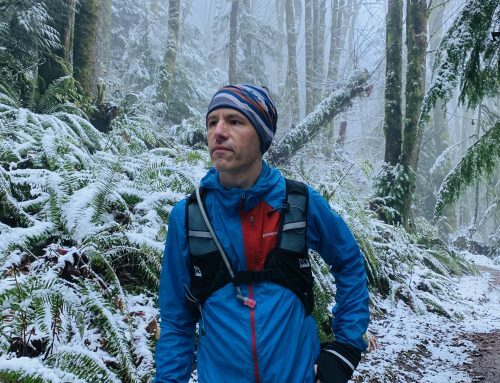 The Garmin inReach Mini is the perfect size for trail running, and it is the least expensive at three hundred fifty dollars. 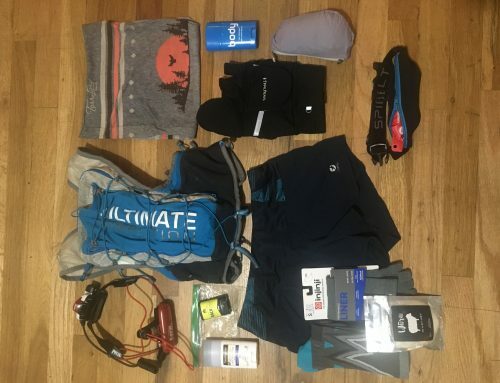 This, plus its small size, made it a relatively easy decision for the trail runner in me once I had made up my mind to purchase a two-way satellite messenger. You do sacrifice battery life and onboard navigation for that portability, but you can easily see where you are using the Earthmate app, which is discussed later in this review, as long as you have downloaded the appropriate maps for the area you are going to be in. The Explorer+ is almost too big for a trail runner to want to take with. However, the battery life is fantastic, twice that of the Mini, and could easily last 24+ hours without sacrificing usability. While both are solid devices, I do keep thinking back to a conversation I had at the Tillamook Burn with a search and rescue person about the Garmin inReach devices in general. He said something to the effect that they aren’t perfect, but they are the best currently on the market. The main reason to purchase one of these devices is for safety. They improve your likelihood of being rescued in a timely fashion and allow you to communicate your status when cellular coverage is not available. 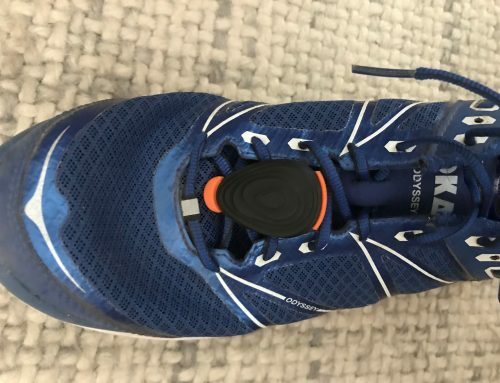 As trail runners, I think we underestimate the importance of having a device such as this, potentially due to most of our excursions being not more than a day. There is also a price barrier, both with the upfront cost, as well as the required monthly subscription. That said, these costs pale in light of the benefits that having a satellite communicator provide. The inReach Mini is 2.04” x 3.9” x 1.03”, has a rubberized feel, is waterproof up to 1 meter, has a 0.9” x 0.9” monochrome screen, four buttons for navigation, and the all-important SOS button which is protected with a cover. It comes with a mount to hold a carabiner clip, as well as a mount for other Garmin accessories. The screen is surprisingly easy to read, and navigating the device is fairly straightforward. It is also worth mentioning that the Mini is less than half the weight of the Explorer+. The inReach Explorer+ is 2.7” x 6.5” x 1.5”, has a rubberized feel, is waterproof up to 1 meter, has a 1.4” x 1.9” color screen, ten buttons for navigation, and the all-important SOS button which is protected with a cover. It comes with a mount to hold a carabiner clip, as well as a mount for other Garmin accessories. The screen is easy to read, and navigating the device is a breeze given the dedicated 4-way joystick and shortcut menu. The Explorer+ has several other features that the Mini does not, including a digital compass, altimeter, and onboard memory. When it comes to sending messages directly from the device you are basically subjected to scrolling through the letter by letter unless you have set up your quick list with an appropriate response. The quick list is created on the inReach website and is also available to use when messaging from the app. Both custom messages and the quick list messages count to your message limit in your subscription. You do have the ability to set up 3 preset messages that are completely free. These preset messages are set via the inReach website and include the contact information of the people you want to send to as well as the text. They have some already set up as suggestions that you can edit. Garmin recommends editing these for each trip. These 3 preset messages are only accessible via your device and cannot be sent via the app at this time. When it comes to sending custom messages though, messaging using the Earthmate app is much easier than from the device. You have access to a full keyboard, the app will denote whether you are messaging another inReach device, an email, or a text, and you can tap on a message to get more details about it. The format resembles that of a typical text message app, but that is where the similarities end. For Adam, the localized navigation and communication capabilities on the Explorer+ are enough so that the app feels unnecessary. He has not felt the need to carry a cell phone when having the Explorer+ in tow. The preset messages mentioned above are made better on the Explorer+ using the shortcut menu to jump straight to the first preset. Typing on the device is possible, but not efficient. The potential cost of each message deters the user from typing and encourages the use of the preset messages. This inevitably helps keep you moving, while typing messages can be time-consuming. A couple of things to consider regarding messaging: this is not the same as texting. It is not instantaneous, or even marginally timely. The device checks in with the satellites in regular intervals, although I feel like that is not necessarily the case in reality. The default is every 10 minutes which can be reduced to every 5. Anything below that and Garmin says the device is essentially always pinging the satellites and battery life will be significantly reduced. You can manually kick off a check both from the device and the app which I find myself doing more often than not. Messages also arrive sometimes when you send a message. One tip: add the time sent to every message. This makes it easy for the recipient to see when you sent it since messages are not always received at the time they are sent. You can get the sent time by tapping on any message in the app, but adding it directly to the message saves a step. The line of sight to the sky also plays a role with how quickly messages send, although I did find that even around Mt. St. Helens my messages would sometimes take a few minutes to send. A nice feature is that each message you send can include the location you are sending from. Both devices can also track your progress and publish that information to a map viewable online to anyone with the link. They can track as frequently as every second, or more infrequent. It sends this data up to the satellites every 10 minutes or slower. The default setting is track in 2-minute intervals and sends at 10-minute increments. The tracking accuracy on the default setting is hit or miss. When scouting the back half of the Mt Hood 50 it was more accurate than my Fenix 3 HR, but when I ran the race the Mini was way off. Logging every second is certainly more accurate, but it does impact battery life and based on at least one test in Forest Park here in Portland it can still be less accurate than a GPS watch. Circling back to the map where your track can be viewed online in real time, people can also message you from the map while you are active. These messages do count to your message limit. If you only want certain people to be able to see where you are, there is an option to set a password that anyone with a link to your map will need to enter. The Earthmate app is available for both iOS and Android. From a custom messaging standpoint it is essential to have no matter the device you are using. It also provides maps and a view of your track if you are using the Mini. There is a compass, as well as the ability to add waypoints and navigate to those waypoints. Other than that, you can use the app to modify settings, as well as a way to sync the preset and quick step messages from the web. In general, the app is laid out well but could benefit from some feature tweaks. For example, in order to kick off a manual check of messages on the inReach, you need to tap on More, tap on My inReach, and then tap on check messages. It would make more sense if the app made use of the standard pull to refresh in the messages area instead. The other issue that I have is the included maps are not as good as what you can get in Gaia. 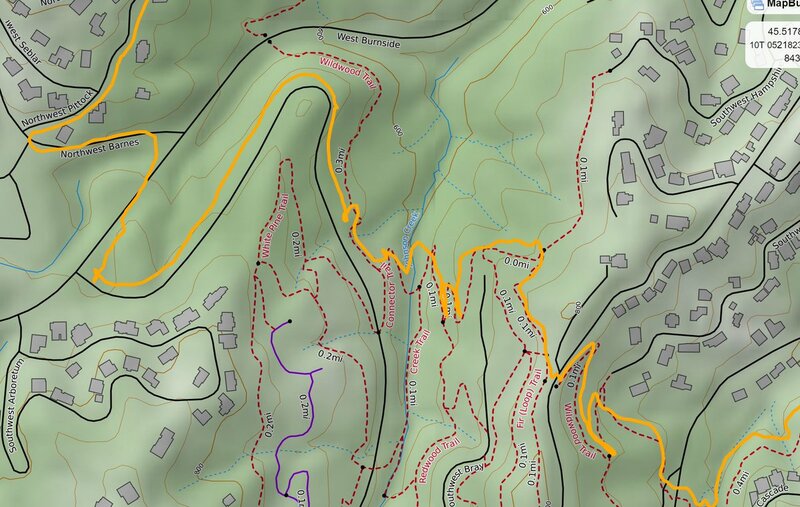 Many trails are not labeled, and some of the contrast in colors make the maps hard to read. Other than those items, the app functions well. There are five areas: Maps, Messaging, Tracking, Compass, and More. More contains Waypoints, Routes that you have created, History of your tracking points or messages for a given day, Weather, a place to activate the SOS functionality, My inReach, and Options. Options are where you will pair the device to your phone, set up your Garmin account to sync information from the inReach website to the inReach device, and modify the various tracking intervals, units of measurement, and map options. While there is certainly room for improvement, both devices work as advertised: provide messaging in areas without cell coverage, tracking so people can check on your location, and a way to message for serious help if needed. The fact that they run on the Iridium Satellite network makes their coverage wider than the main competitor in this space, Spot. A future feature improvement that I would love to see, besides those already mentioned, would be integration with Garmin Connect as there currently is none. As of right now, though, if you are looking for an ultra-portable device that can provide safety and peace of mind in the remote areas where we all adventure the Garmin inReach Mini is the best options on the market today. If you need longer battery life, want your messaging, mapping, and tracking all on one device, and typically do not bring your phone with you on your adventures, the Explorer+ is the device you should pick up. After Jameson’s Boundary Trail FKT I had 46% left. This was with just having it on for messaging and changing the message check interval to every 5 minutes. That means it used about 54% in around 16 hours. 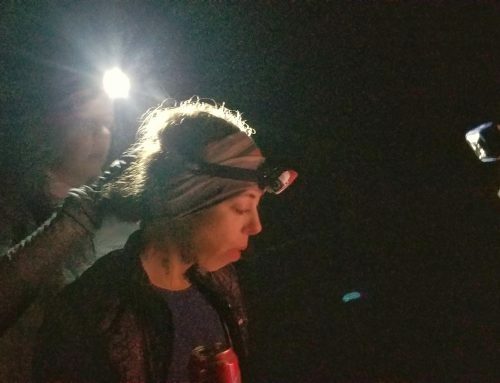 For Jameson, during the same time frame, it was at 29% left at the end of her Boundary Trail FKT. This was with the default setting for messages and with tracking set to 5-minute intervals instead of the default of 2 minutes. The Mini will send and receive messages while charging, so that is a bonus, although having to carry a battery pack, even a small one, certainly starts to eat into the portability of the Mini. This review was created with contributions from Adam Tiffany. Also, please note that as of publication we are still waiting to hear back from Garmin regarding the Transmission Power of the inReach Mini. Once we do, this review will be updated.